As the time is progressing and technology is advancing, the multinational companies and business organizations are taking a step further in getting the projects done seamlessly. This includes increasing the comfort level of the employees besides making a favorable and conducive environment in the office premises. Well, all this has given rise to enterprise mobility, an approach to work where the employees can work from anywhere using their set of devices that include Smartphones, tablets, iPads and even the laptops. This work culture has come as big relief for the employees because they do not have to come to the workplaces to do their job. Instead they can work from their homes and also easily coordinate with their team members working on the same project. Enterprise mobility has evolved and grown rapidly and if one has to believe a study then the market associated with the enterprise mobility and Bring Your Own Device (BYOD) is expected to hike to $73.30 billion in 2021 from $35.10 billion in 2016. In fact, one of the things that is keeping the business organizations interested is that it is turning out be a huge investment for the future and will boost ROI. But what about the enterprise mobility trends prevailing in the current year and time to follow? The 2018 has begun and with the first month already ending we should by now be familiar with these trends so that we can implement them while working. Over the years we have witnessed a big surge in the growth of the Bring Your Device culture and one of the key reasons for its growth is the immense support from the business organizations. 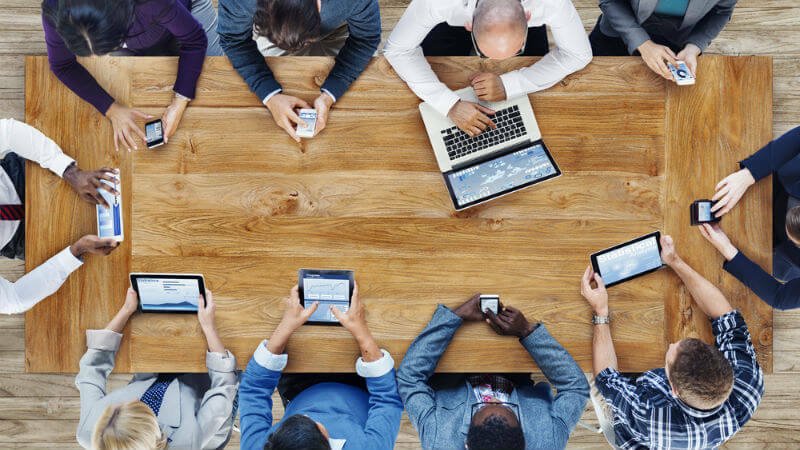 There is no doubt that BYOD culture has helped a great deal in augmenting the efficiency of the employees and workers that further increases the business productivity. It is expected that more and more enterprises will be adopting the BYOD trend in the 2018. And to move further in this direction one will also see that the security concerns related to the BYOD will get resolved as companies are employing advanced techniques to resolve this issue. This will lighten the pressure of the IT team to ensure that organization’s data is under safe custody. The organizations have already started using Mobile Device Management or MDM to solve this concern so that the workflow is not interrupted or hampered. We are already aware of the fact that Artificial Intelligence(AI) has been a huge driving force that business firms have accepted with both hands. One can cite the examples of giants like Google, Apple and Amazon that are all focusing much on increasing the use of the Artificial Intelligence technology. In fact, Google has already declared itself to be the first AI – tech company and more companies are building further plans to enter into this arena offering wide opportunities for gathering information. It is high time for the business to identify the utility of the AI based technology and use it to maximize the gains. This will help you achieve better results because it is a game changer. Artificial Intelligence will be a big bonus for every industry and not particularly the IT sector or the mobile app development company. You should also be aware that AI will also resolve the cyber security based problems and will have a massive impact on business profitability. 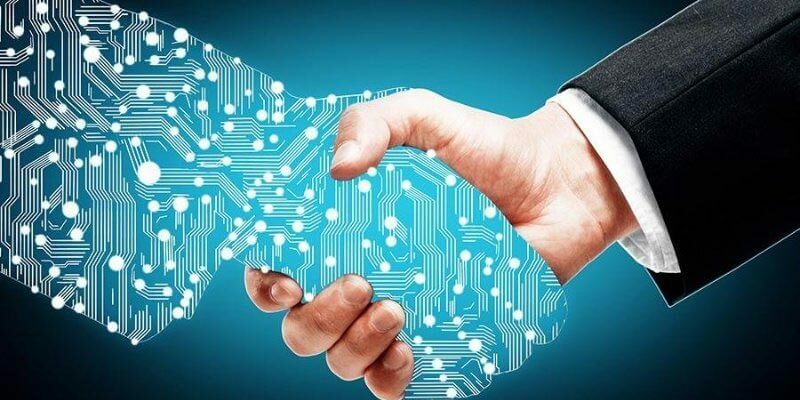 Furthermore, the AI-based security will also create a safe environment for the growth of the BYOD culture and we will witness the IoT to increase further. More devices will be able to get connected through the networks in the future. 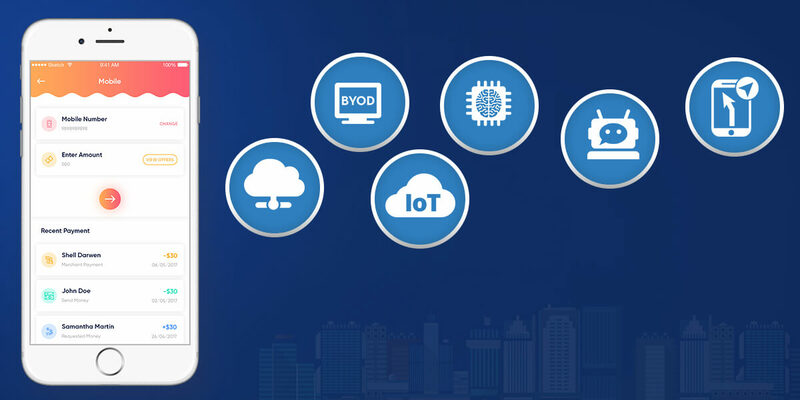 The Internet of Things or (IoT) is a very familiar term in the IT industry today where you can establish network connection with any of the devices including the home appliances and your conveyance. According to a report of the Forbes, the IoT connected devices will surpass the number of Smartphone and other devices. 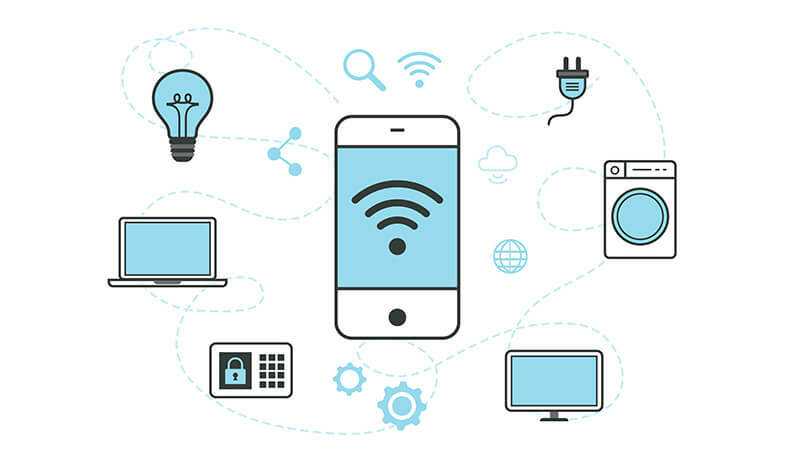 One of the prime reasons that has led to the growth of the IoT based technology and devices is that more and more devices have started to support the Wi-Fi connection and it is not limited to electronic gadgets only. We have already seen and discussed how the Internet of Things are going to benefit various industries and departments such as the government, education, health , energy, transport and much more. The enterprise mobility will depend much on the IoT for collecting and sharing information from various sources as well as take vital decisions within quick time. 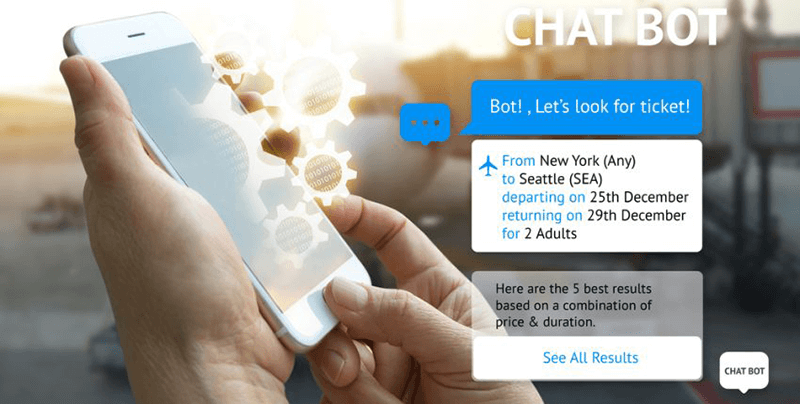 The Chatbots that have already become quite popular will reach to another height in the 2018 and such platforms for communication will be on the driver’s seat. The organizations that believe in offering optimal customer satisfaction will take huge advantage from it. With the help of chatbot, the enterprise will be able to answer the queries of their customers within no time and what is interesting to note is that they do not have to employ special customer care executives for doing this task. They will be checking the requests and concerns and will be responding for the same instantly. This may include setting of appointments, payment approval, checking any other information and much more. And it should also be remembered at the same time that conversations carried out via the chatbots will focus more on providing the substance and quality instead of those old traditional methods where the user had to wait for a long time to get an answer. Even the inter-departmental interaction between the different teams and employees will become easier and this will help to increase productivity of the project. 2018 will witness a further increase in the demand of location based business apps because it has already turned out to get tremendous response from the audiences worldwide. The massive success of apps such as Uber, UberEATS, Airbnb etc. 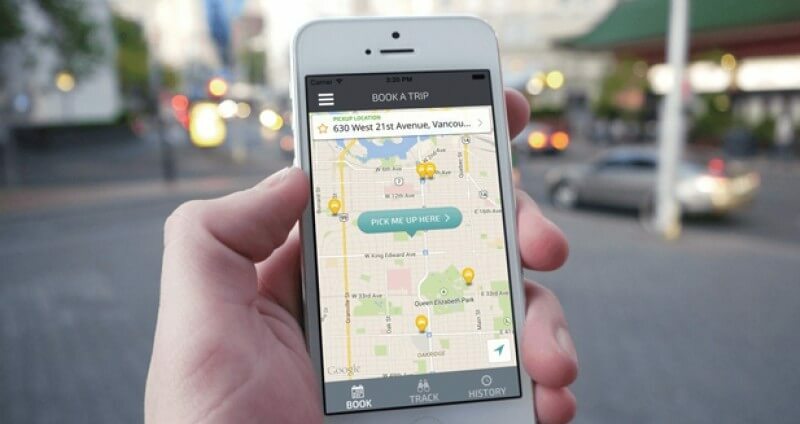 to cite a few are enough to indicate that people do not want to waste their precious time in locating a nearby cab, shopping mall, restaurant or hospital. In addition to that the demand for the business apps will also hike and more of such are going to be developed that will purely focus on the business. The improvement in the loading time of the apps will show a positive sign and this will further enhance the customer experience. Of late, the cloud computing has been a key area of focus for the IT sectors and more companies have started offering the services in the same area. It helps a great deal in curtailing the cost and is highly accessible and reasonable. It has the ability to store huge data and that is what is enticing the business organizations to adopt it rapidly. However, there a few security related issues but that is getting addressed through hosting mission and other technical methods. Enterprise mobility has been a big boost for the business organizations ever since its inception and if the trends continue to grow and change, this will further be a huge plus for the companies. The investments in Enterprise mobility will surely increase as in the years to follow. The Enterprise mobility will not be useful in raising the performance of the employees but also help to store and gather information more precisely.